Parents across the country are taking a look at their child's financial aid award package and asking: "Is that all?" Paying for college in the U.S. can be a confusing process. You don't know exactly how much it's going to cost until you receive the financial aid award letter from the school. Even then, you have to decipher a list of grants, scholarships, work-study awards, and loans in order to understand what you owe. And many families are surprised the amount they're expected to contribute is still quite high. The good news is that most students don't pay the "sticker price" for college. At the average public college, for example, the sticker price for tuition, room and board was $20,090 last year. But in-state students actually paid $14,210, on average. The difference was made up by financial aid. Colleges take a look at a family's finances to determine the "Expected Family Contribution" -- or what they expect you to be able to pay. The financial aid system is supposed to fill in the gap, but many families find they can't pay what they're expected to contribute out-of-pocket. "Even within the middle class, the disparity between aid awards is striking," said Christine Chu, an admissions counselor at IvyWise. Online "net price calculators" can help you estimate your EFC, but it's just that -- an estimate -- and the college's final offer can be different. The formula varies by school, but they all use information you report on the Free Application for Federal Student Aid, or FAFSA. Here are three reasons why your financial aid award might be smaller than what you expected. 1. You had more income than you thought. Your child's financial aid award is largely driven by your income. The more you have, the smaller your financial aid award will be. Assets -- like your savings and checking accounts -- are also considered, but they play a smaller role in determining your expected contribution. The financial aid award you receive for the 2017-2018 school year is based on the income and assets from 2015, or the "prior-prior" year. If your finances changed drastically in 2016, you still need to provide 2015 tax information on the FAFSA but should contact the financial aid office at the school to let them know. Colleges look at your Adjusted Gross Income, which includes more than the wages you earned. It can also include alimony, Social Security, and rental property income. The FAFSA also asks about untaxed income, which means that withdrawing from a Roth IRA to pay for college expenses could also reduce your child's financial aid package, said Mark Kantrowitz, the publisher of the free online admissions tool Cappex. 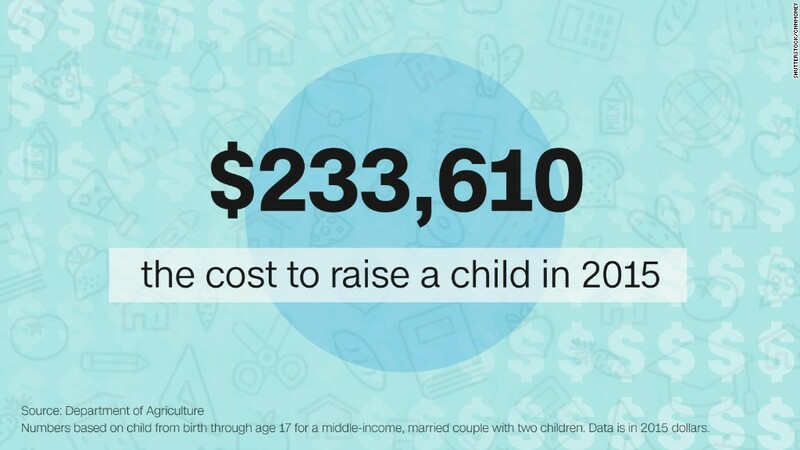 You child's income is considered, too, and is weighted more heavily than the parents' income. The good news is that the FAFSA ignores a student's income if it's less than $6,420. Money in a parent-owned 529 account, on the other hand, is treated more favorably by the FAFSA. It's considered an asset and won't reduce your financial aid award by as much as income does. "It has a relatively small impact on aid eligibility," Kantrowitz said. Using money from a 529 account in a grandparent's name, however, would be considered income. So it's better to transfer that money into a 529 account in a parent's name, or use it to pay for the student's final year in school. 2. Your child received an outside scholarship. Outside scholarships (those from companies or nonprofit groups other than the college) could potentially lower the amount of other financial aid you receive. Colleges do this in different ways. Remember, loans are considered part of your aid package and the college could decide to simply reduce the amount you can borrow by the same amount of the scholarship. About 80% of colleges do it this way, Kantrowitz said. But other colleges will reduce an institutional grant award so that you won't see any financial gain from the scholarship. To find out how your college will treat an outside scholarship, look for its "award displacement policy" or "outside scholarship policy" online, or call and ask. If the college is reducing the grant award because of an outside scholarship, Kantrowitz suggests asking the scholarship provider to help appeal. 3. The college didn't consider your expenses or debt. What you report on the FAFSA might not capture some special financial circumstances, like high medical bills, caring for an aging parent, or volatile income. It's worth highlighting those kinds of situations in a formal appeal to the college, as well as anything that dramatically changed in the past year like the loss of a job. Don't expect a break because you live in an area with a high cost of living. "There's some state-based adjustment, but it's relatively small," Kantrowitz said. And the FAFSA also doesn't capture credit card debt or auto loans. If you have money in the bank, paying off those debts could increase your aid award package. There are about 200 colleges that require parents to fill out a second financial aid form, called the CSS Profile, in order to be eligible for institutional grants. It considers some things that the FAFSA ignores, which could reduce or increase your aid award. For example, it considers the value of your home and the income and assets of a non-custodial parent -- which the FAFSA does not. But it also has an allowance for an emergency fund and ignores capital losses. Overall, the CSS Profile calculates your EFC differently than the FAFSA.